How Rate Cut by RBI Affects SBI? A 25 basis points (0.25 per cent) cut in repo rate will give an additional income of Rs 50 crore to SBI. If RBI reduces the CRR by 25 bps, SBI get about Rs 3,000 crore. Thus as a thumb rule banks are more happy if RBI cuts CRR as it helps them get more money to play in hand as effect of CRR cut has a greater effect than just a mere interest rate cut. 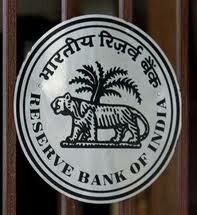 You can check out RBI Credit Policy here.